Chef Tanaka partnered with LDV Hospitality and Menin Hotels to take his rich culinary traditions to South Beach to create a modern twist on Japanese cultures. 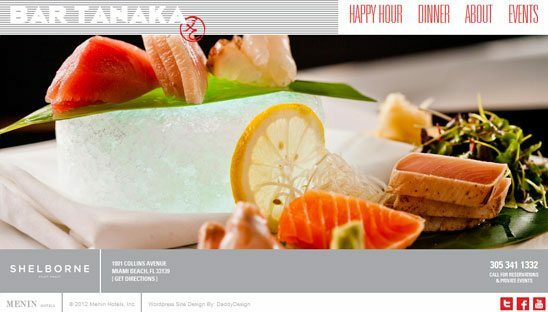 Bar Tanaka offers an extensive sushi selection of the world’s freshest and finest fish as well as imported Japanese beers, sakes and wines. This custom Splash site was created using WordPress. Background rotates through tons of Hi Res photos and all menu links open Pop Up’s using Lightbox.